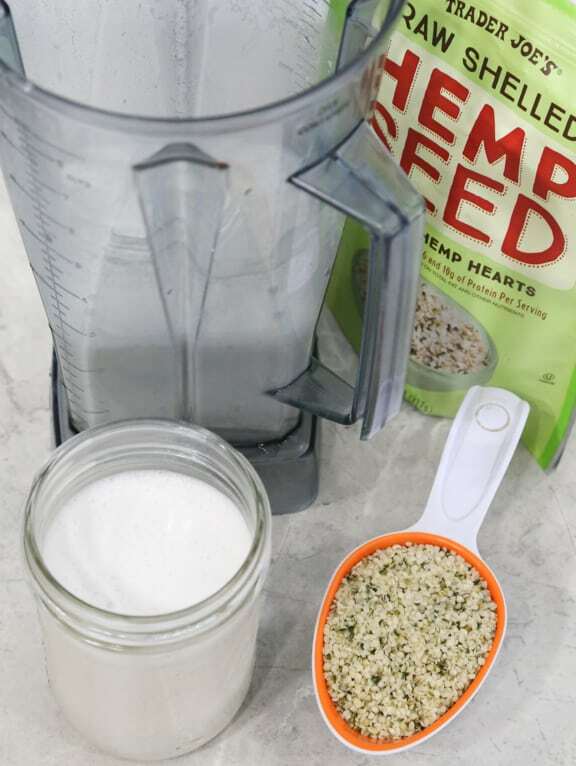 I’m a big fan of hemp seeds — they’re my go-to source of omega fatty acids and a fantastic source of plant-based protein.They have a distinctive though gentle flavor, and what’s surprising is, given their color, what a creamy white milk results. Truth be told, commercial hemp milk isn’t that great. Making it at home is economical and tastes far better. And it couldn’t be easier to make. 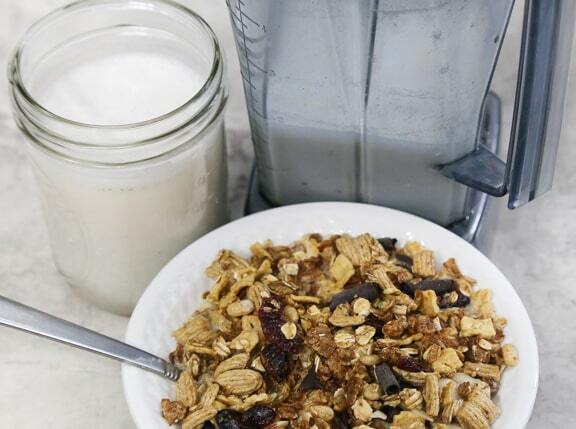 Unlike other nut or seed milks; there’s no soaking; and if you use a high-speed blender, no straining, either. Use as a cold beverage, in coffee or tea, in cereal, or wherever nondairy milk is called for. Photos by Evan Atlas. In a high-speed blender: Combine 1/2 cup hemp seeds with 2 cups filtered water. If you’d like a bit of added sweetness, add a couple of pitted dates or 1 to 2 teaspoons maple syrup, rice syrup, or agave nectar. 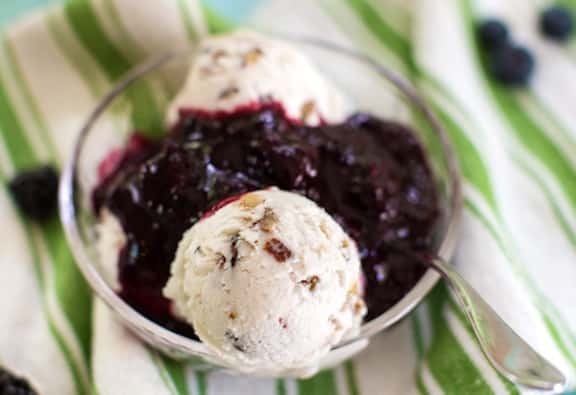 A teaspoon of vanilla adds nice flavor as well. 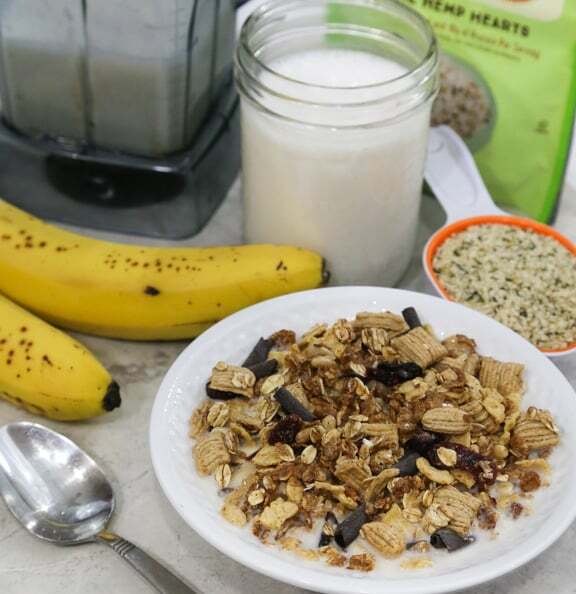 Blend on high for about 45 seconds, or until smooth and creamy. Transfer to a quart container and stir in 1 to 2 cups additional water, depending on how thick you’d like it to be. Refrigerate any unused portion. In a regular blender: Follow the instructions above, but you’ll need to blend for a bit longer — somewhere around 2 minutes or a bit longer, depending on your machine. Strain through cheesecloth or a very fine strainer. You can use the solids in baking, or add to hot or cold cereal. With either kind of blender, this will make between 3 and 4 cups of hemp milk, depending on how much water is used. Thanks for this, very informative.